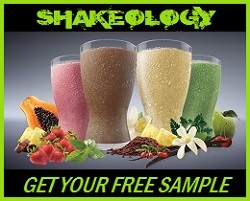 With the releas e of Beachbody’s new mass building program, BODY BEAST, many people are wanting to know what they are going to need in the way of equipment. Sagi Kalev says it best, “If you want to get big, you gotta lift big”. One of the fundamental aspects of gaining mass is lifting heavy which means lots of weight! 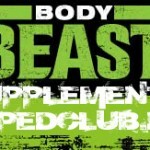 So lets take a look at what I feel is going to be your best choice for BODY BEAST equipment. 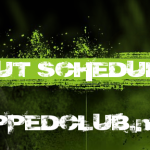 What BODY BEAST Equipment Will I Need? Adjustable dumbbells are going to be your tool of choice when it comes to equipment that is essential for gaining mass with BODY BEAST. You are going to want something that will allow you to max out around that 5-8 repetition range, which mean heavy, heavy weight. I recommend going with the Bowflex 1090 series adjustable dumbbells. These suckers go up to 109 lbs each so there is no doubt that these are going to work perfect in allowing to go with big weights for big gains. I usually can put up around 85lbs on dumbbell presses, so these are going to work perfect. And the fact that they are adjustable means that you get a ton of weight options, without a giant weight rack in your living room. Every 3 months or so, Bowflex runs a promotion where you can get 60% off these dumbbells, and sometimes they toss in free shipping or a free weight stand. I even saw one offer where they included free shipping AND an adjustable dumbbell bench. Be sure you check out http://www.bowflexselecttech.com/ for more info and to keep an eye out for those promotions. Many of the exercises in this program are going to utilize a weight bench. You are preferably going to want a bench that can adjust into an inclined position for some of the shoulder and triceps moves. You utilize more stabilizing muscles. You follow the natural line of movement as opposed to a fixed path that a bench might force you to go. It has better applicability to the real world where a lot of the activities you are going to be doing require you to utilize your stabilizing muscles. Your core/abs are engaged MUCH MORE, especially when you are doing the movements standing. So I might consider this to be an optional piece of equipment for the BODY BEAST program, but you should be able to find a decent bench on craigslist for cheap, just to have in case you want to use it and follow exactly what they are doing in the program. This to me is going to be your second largest investment in equipment, right behind the adjustable dumbbells. The curl bar is going to be very effective in the way of putting up some big weight and really isolating the focus on certain muscle groups – specifically the arms and shoulders. The curl bar is not just limited to arm and shoulder exercises though. In the BODY BEAST program, you are going to be using it for dead-lifts, back exercises, leg exercises, and a whole lot more. The only downside to needing the curl bar though is buying all the weights for it. You can probably find a good deal locally on craigslist, but the fact of the matter is, lots of weight costs you! And if you really want to see size and strength gains, you are not going to want to skimp on the weights and put up less than you are capable of. The less expensive option to all these peices of equipment would be resistence bands. They now make resistance bands that have 100lb pull on them. The cool part is that all you have to do is buy the handles for $10-$20 and then buy the different bands with different levels of tension. I would recommend going with a range of 50lbs on the bands you choose. The reason being is that when you lift big, your doing drop sets, and super sets – you are going to make strength gains quickly and that range of tension on those bands is key so that you dont plateau by limiting your tension options. As with P90X, or your Shakeology, you have to look at the cost of a program like this along with the needed equipment as an investment in your goals. Is it worth it? That is for you to decide. I can see easily spending over $1000 on equipment for BODY BEAST, but if you are thrifty and keep your eyes open for deals, then you can significantly cut that cost by more than half most likely. Your focus cant be on the cost though. When you want something – you do it. If you want to gain 10, 15lbs of muscle – you do it, and you make sacrifices and you do what it takes to reach your goal. Everyone has their own budgets though so you might have to get creative. The point is, dont let the price of BODY BEAST equipment deter you from getting the program and reaching your goals. I hope this post gives you a good idea on what you are going to need in the way of equipment for BODY BEAST along with some options to fit your budget. Be sure you like or share this post if you found it to be helpful. I define helpful as actually following through with my advice, so if you dont plan on using any of my suggestions, you dont need to share this post. Appreciate it gang! can you use bands instead of weights? With the app will I be able to watch videos of the workouts at my﻿ gym? I have a gym membership but can't afford equipment. @akvij00 I believe the app has JUST the workout sheets that show you what exercises to do and a place to record your reps/weight. I dont think there is any video like the P90X app offers. Can I use barbells rather than a bar? What weight ranges would I need? Hey Coach Todd. I all ready have bodylastices resistance bands. Do you think I can use these instead of the curl bar and weights? I really dont have the additional space at my house for all the extra weights. Hey coach todd i was wondering, can you use the les mills pump curl bar, instead of buying a new one? This looks amazing. Any news on the release date? Great writeup! 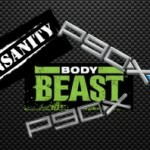 I can't wait for Body Beast to come out personally. 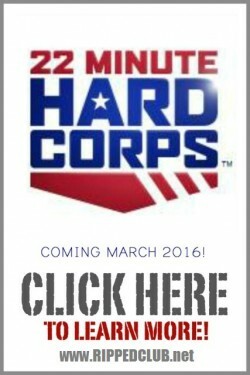 I'm very curious if the equipment will be available on team beachbody or not. i do like your idea with the bands though! you can still get in serious shape and gain mass with bands. i did it with p90x and i would dare say i sometimes get more of a pump. keep me updated!